Casson Mann has worked on the design of IWM’s first ever international touring show – the WW1 Centenary Exhibition in Australia. The consultancy was appointed to the project after working on the redevelopment of IWM in London, which reopened last year. Casson Mann’s brief for IWM’s main site included the First World War galleries. For this new touring exhibition, Casson Mann worked with iEC Exhibitions. The consultancy says its greatest challenge was to “condense the incredibly complex object-rich story, into a nimble yet engaging touring event”. As it couldn’t transport large items such as the Mark 5 Tank and Sopwith Camel aeroplane, Casson Mann says it “had to be inventive about how to embody the drama such large, powerful and iconic objects generate in a temporary exhibition”. The solution was to create a twisting “trench” at the core of the exhibition space, which reveals dugout styled doorways to a series of themed collection displays on each side. 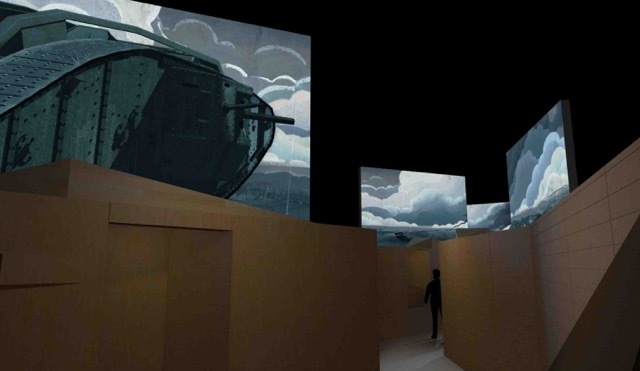 Above the trench, huge projections and a soundtrack depict a “battlefield”, with attacking tanks crawling over broken ground and soaring planes fighting in the sky. 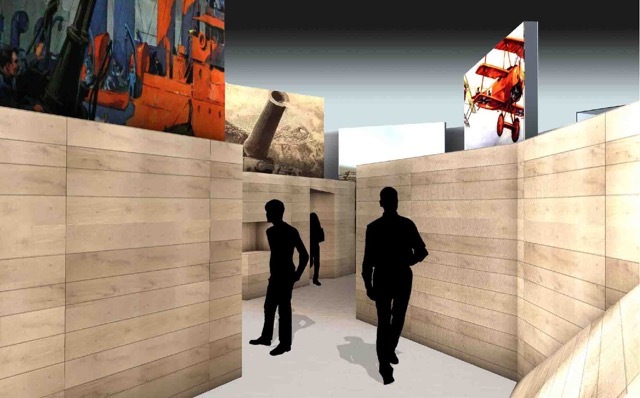 Each of the eight doorways in the trench lead into “chapters” that each tell a themed story through large and small object displays, works of art, personal artefacts, memorabilia, and projected films. Overall, the exhibition features 350 small objects, eight large objects, 14 uniforms, 29 AV and over 40 pieces of art. 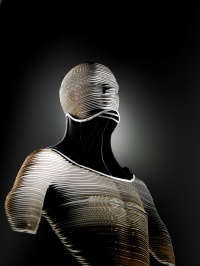 The exhibition opens at Melbourne Museum this month and is set to tour internationally.